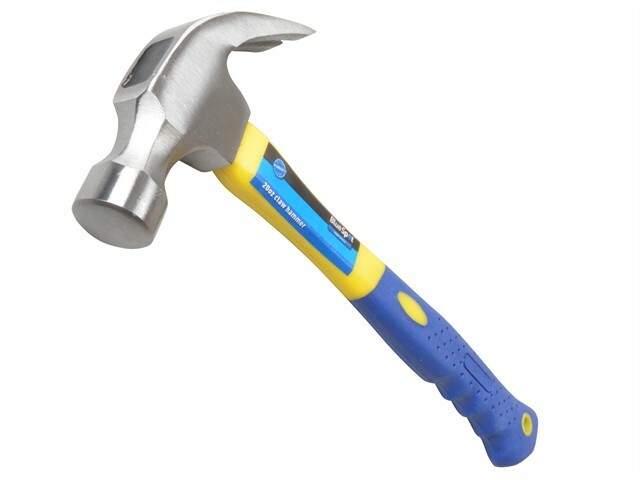 Claw hammer with a drop forged, heat treated, round head. Faced for accurate striking, and a full claw for maximum pulling power. The 70% fibreglass handle is plastic coated for comfort.